Manchester United legend Ryan Giggs caught the eye last night as his Wales side beat the Republic of Ireland 4-1 in his first home match in charge. The former Red Devils midfielder remains highly thought of at Old Trafford, having shone as one of their best ever players in a long and successful career with the club. Giggs even served as caretaker manager for the end of the 2013/14 season after David Moyes’ sacking, before then working as assistant to Louis van Gaal for the following two years. 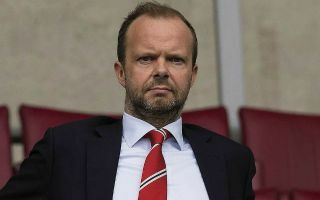 Whether the Welshman is a realistic contender to one day land the big job at United remains to be seen, but there’s no doubt it would be a pretty romantic thing to happen, given his connections with the Premier League giants. Really hope Giggs does well with Wales and takes over Mourinho in years to come. Ryan Giggs impresses me more and more every time I watch his interviews. Just imagine his style of play if he was Manchester United Manager?